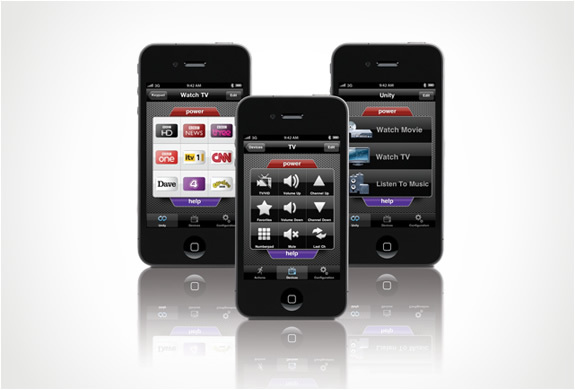 Gear4 UnityRemote is Universal Remote Control which doesnt need to plug a dongle into your iPhone or iPad or iTouch. 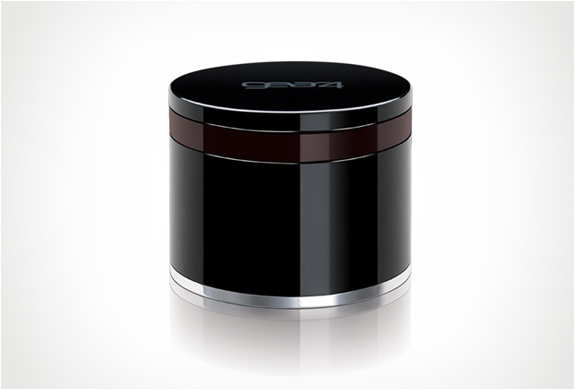 It controls all systems which take infrared signals in your house. 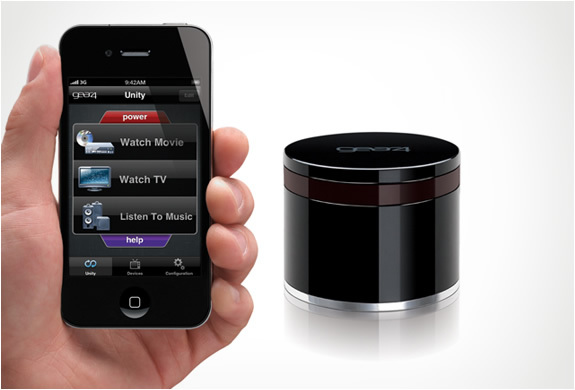 It uses bluetooth technology to receive commands from iPhone or iPad or iTouchand passes infrared signals to your home systems. 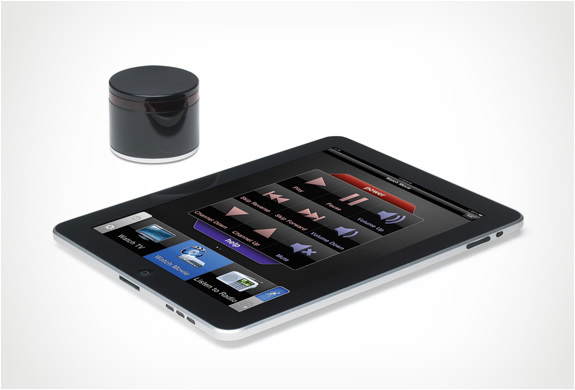 You can also control multiple devices simultaneosuly such as turning on a whole system with one button. Its easy to setup, simply place the Unity Remote in your room,download the UnityApp and follow the setup assistant. This product is available in market with a price tag of $99 at amazon.